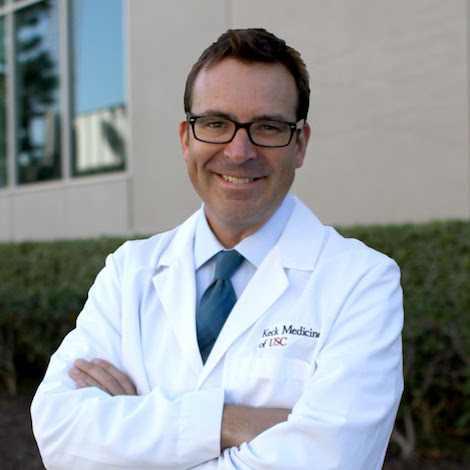 Dr. John Carmichael is the Co-Director of the USC Pituitary Center and Associate Professor of Clinical Medicine at the Keck School of Medicine at the University of Southern California. After earning a degree in biomedical ethics at Brown University, Dr. Carmichael graduated from the Medical College of Virginia in Richmond. He then completed internship and residency at Virginia Mason Medical Center in Seattle, Washington. He received his endocrinology fellowship training at NYU, where he received a research fellowship grant to conduct clinical trials devoted to growth hormone deficiency and acromegaly after his clinical fellowship. In 2006, he moved to Los Angeles to join the Pituitary Center at Cedars-Sinai Medical Center, where he cared for patients with pituitary disease, devised and conducted clinical trials, and taught medical students, residents, and endocrinology fellows. In 2014, he joined the faculty at the University of Southern California. He has authored several journal articles devoted to clinical pituitary medicine, book chapters covering hypopituitarism and hypothalamic disease, and sits on the editorial boards for Pituitary and Endocrine, Diabetes, and Metabolism Case Reports.